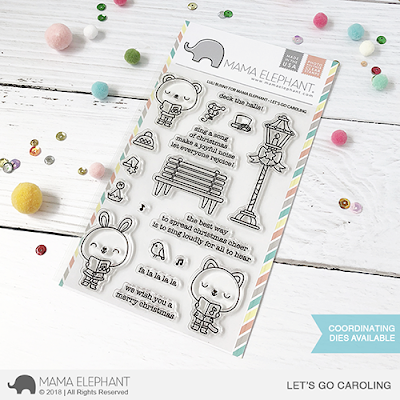 Hi guys, today we are looking at the Let's Go Caroling stamp set designed by our friend Luli Bunny! Her characters are always endearing and sweet and super easy to color! I mean, how cute are these little guys singing Christmas carols together? I love the "grounding" pieces like the wooden bench and the lamp post, it really helps bring this festive scene together. 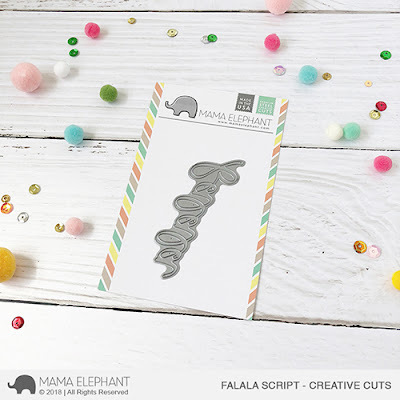 Also showcasing the new Falala Script die set. 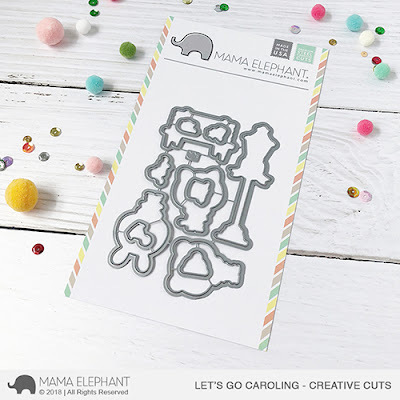 Our hand written word dies are a classic favorite around here, we're super happy to add this fun one to our collection. Falala Script and Let's Go Caroling works so nicely together, don't they? Angela is on a roll with these shaker projects! 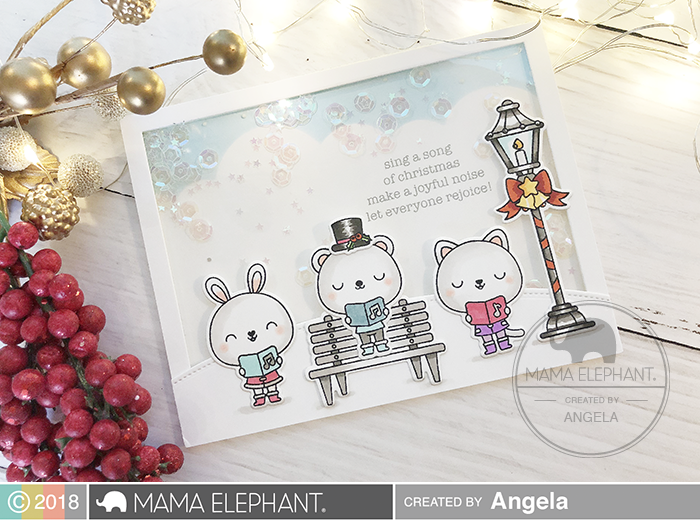 She created a wintry white scene with Luli's adorable caroling characters. I love your lamp post details. Such a cute set.